The Village of Lake Orion is seeking applicants to fill a vacancy on the Village Council. Applications for the OFFICE OF COUNCILMAN OF THE VILLAGE OF LAKE ORION are available at the office of the Lake Orion Village Clerk and on the Village of Lake Orion Website. No person shall be elected or appointed to any office who is in default to the Village, or has been convicted of a felony. The election or appointment of any such defaulter or person shall be void. No person shall be eligible to any elective office of the Village, other than that of Village Manager and Village Attorney, unless he shall be of legal age and a registered elector of the Village. Persons desiring to qualify as a candidate to fill the vacancy shall file the application and necessary qualifying forms with the Village Clerk, no later than 4:00 p. m. on Wednesday, August 8, 2018. Application forms and additional information may be secured by contacting the Village Manager at 693-8391, ext. 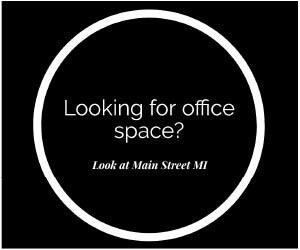 101 or visiting the Village Offices at 21 E. Church Street, Lake Orion, MI 48362 during regular business hours (Monday – Friday 9:00 a.m. – 4:30 p.m.). Candidates will be considered at the Village Council Meeting on Monday, August 13, 2018.